Based on 596 customer ratings. Why settle for just okay when you could enjoy the heritage of our famous Chicago pizza pies? Stop by our dining room with a bottle of wine — we’re BYOB in Irving Park —or call for pickup or delivery. We cater, too — so if you need to place a large order, just ask! When you order pizza, shouldn’t it be something special? At Giordano’s, we’ve made the best Chicago-style pizza on Earth since 1974. Our artisanal pizzas aren’t only made with the freshest and most flavorful ingredients — they’re also made with tender loving care! 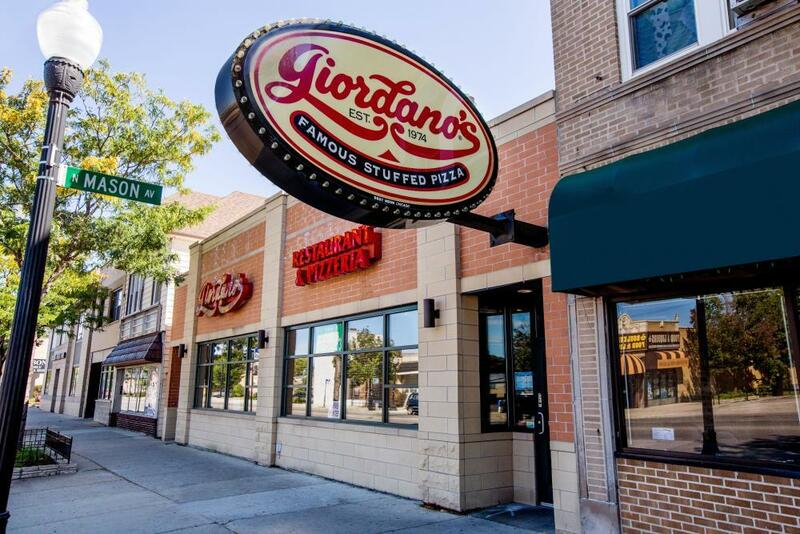 Giordano’s is more than a restaurant, it’s a cherished Chicago tradition. Are you ready to enjoy the best deep dish pizza in Irving Park? Giordano’s — the Best Pizza Place in Town, Bar None Regular pizza is slapped together on a bland assembly line with so-so ingredients and little appreciation for old world technique. At Giordano’s, it takes 6 trained artisans to handcraft 1 pizza. Our famously flaky double crust is slow-baked with the toppings you want, in addition to the fluffiest Wisconsin mozzarella — mozzarella made only for us. The care we put into each and every pie establishes our reputation as the best pizza place in Irving Park! Giordano’s is famous for our pizza, but that doesn’t mean our other dishes aren’t just as delicious. We have a wide selection of fresh salads, mouth-watering pastas and specialty Italian sandwiches. That’s Giordano’s!